To understand 1041, it’s important to know something about a big, fat sales job. There was a previous VVA chapter in Stuart, but it folded a few years back. Navy veteran John Haddox, who was supervising the Martin County Veterans Service Office at the time, didn’t like the idea that there wasn’t a local VVA chapter anymore. Haddox called VVA National to find out what he needed to do to start another. He was told that other locals already were looking into that. Haddox got their names and called a meeting at the county veterans office. Haddox said that after getting some fifteen signed up, he hit on a slippery sales tactic to recruit the remaining ten. Haddox served as a county veterans service officer from 1999 to 2012. Then he resigned, ran for the Martin County Board of County Commissioners, and won. Tony Reese took over the veterans office. Reese said that 1041 has remained consistent in its concern for veterans, sheer tenacity, and irresistible sales jobs. About a year ago 1041 approached Reese with the idea for a rapid response fund, a pot of money he could tap to help veterans on the spot at any time. As a service officer, Reese could help folks file VA claims and appeals, but there wasn’t much he could do for anyone who needed food right now. Or a car repair. Or rent money. Or cash to pay an overdue power bill. It bothered the guys at 1041 to think of hungry, financially hurting veterans waiting for Reese to get in touch with them to get donations of food or cash. When he was approached with the idea, Reese thought the chapter was talking about a pot of, say, $500. Maybe $1,000. “They raised $17,500 to get us started,” he said. Reesewho’s normally unexcitabletalked about that $17 ,500 with undisguised delight. “In December, we helped six guys,” Reese said. “It varied from rent and gas money to auto repairs.” Those six veterans received $1,900 from the rapid response fund. Additionally, many going into the county office for immediate financial help have never filed for the VA benefits they’ve earned. Reese said the rapid response fund has attracted veterans who didn’t need it as much as they thought. What they needed, and didn’t know, was help filing VA claims. In those cases, that’s exactly what Reese offers and does. By the end of November 2013 the fund had $12,346. 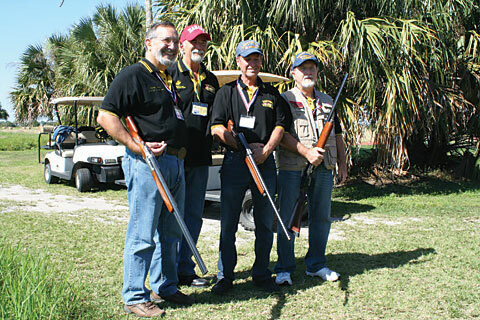 On March 1 the chapter hosted its third Vietnam Veterans Sporting Clays Fun Shoot at the South Florida Gun Club in Palm City. Attendance172 shooters and 17 sponsorswas higher than last year. There’s still a lot of accounting to be done and some bills to pay, Tidikis said, but the shoot appears to have raised between $50,000 and $50,500. He thinks that after expenses are figured, there should be about $20,000 to add to the Veterans Service Office’s rapid response fund. 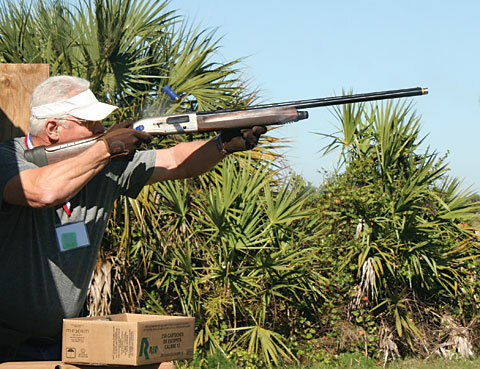 The clay shoot and auction is the chapter’s big fundraiser. Those proceeds also fund Veteran Connection, a job-seeking assistance program for local veterans. Veteran Connection is a joint project with the United Way of Martin County. It included a series of employment-hunting and career-development classes that culminated in an October 2013 job fair at Indian River State College. “We had thirty-eight employers with eighty job openings,” Tidikis said. “Unfortunately, we had only forty veterans show up. We went back to the drawing board: ‘Okay, where did we go wrong promoting it?’ ” There’ll be another Veteran Connection job fair at the college in April. 1041 also started a scholarship for Junior ROTC students at Martin County’s three high schools. In May the chapter gave three students $1,000 each. 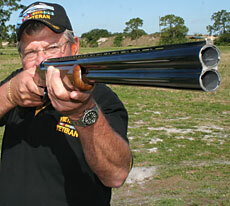 According to the Florida Department of Veterans Affairs, there are some 500,000 Vietnam veterans in the Sunshine State. They make up almost a third of the state’s veteran population. Martin County has some 14,700 veterans. It likely has almost 5,000 Vietnam-era veterans. George Mittler, 1041’s president, said that 1041 is turning more of its attention to getting those veterans signed up. “We try to dig them up out of the woodwork,” he said. Humphries predicts that 1041 will come up with more chapter-growing techniques that others will emulate. “It’s a chapter that when you give it a mission, it will get done,” he said. Makes one wonder how many 500th members there might be.